What Are Drain Cleaners Made Of? What happens when your drain gets clogged? What exactly is a drain cleaner? You would either use any mechanical equipment to unclog it or use any solutions or chemicals which would open the drain when poured into the drain. 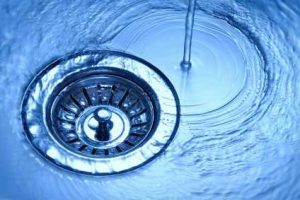 Drain cleaners or drain uncloggers or drain openers are chemical or non-chemical substances that are poured into a clogged drain for the sole purpose of unclogging it and clearing out any debris that are found blocking the space in the drain. 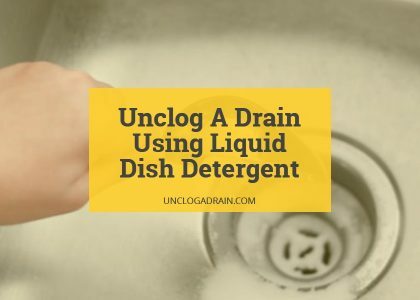 The drain uncloggers should be made in such a form that it would dissolve human waste, food particles and other common substances that get clogged in any drain. The drain uncloggers can be in the form of liquid, pellets or powder. What exactly is present in that drain opener solution or powder? Yes, they are chemicals but, are all type of drain openers are made out of chemicals? What kinds of chemicals are commonly used in these solutions? Are you curious about these details? Keep reading. 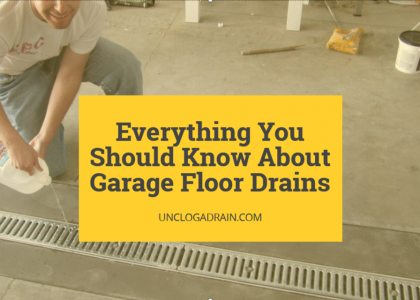 Before you step into the ingredients of a drain unclogger, we should learn about the types. There are different types of drain openers basically classified based on the main ingredients used. Most of companies refuse to specify any effective additives that act as an enhancer. This article will talk in detail about the main ingredients present in each type of drain cleaners that you can find in market or make at home. Acidic drain openers are usually found in liquid form. In case of acidic drain cleaning solutions, the main ingredients would include a few chemicals. The most common one is sulfuric acid. Sulfuric acid is an important byproduct of iron ore purification process. There are other sources of this acid too. The main reason for adding this element to the drain cleaning solution is its property of highly corrosive. It can react with organic materials and even certain types of metals. Thus, it would easily unclog the debris in a few seconds. You would have already guessed that this drain cleaning solutions cannot be used in which the drain pipes are made of certain metals. Steel does not react with sulfuric acid. Not all acidic drain openers are made with sulfuric acid. The other common main ingredient in a few acidic drain openers is hydrochloric acid. Any concentrated acid that has corrosive property can be used in this type of drain openers. The drain opener is not completely sulfuric acid or any other chemical. Many additives would be added to make the acid effective in unclogging and comparatively dilute. The choice of additive ingredients changes from one manufacturer to other. Since these additives make a difference in their brand, the companies refuses to share their choice of additives. Caustic drain openers are usually made out of an alkaline substance. The most common one is sodium hypochloride. This is made by mixing sodium hydroxide which is also called as caustic soda with chlorine. Thus, this drain opener gets its name; caustic drain opener. Other surfactants or surface active additives are added to the cleaning solution to reduce foaming, reduce surface tension and for better mixing of solutions. Other choices of main ingredients in drain openers are lye, bleach and others. Some might even contain potassium hydroxide. This is not an exclusive list. You can find a few other caustic drain cleaners brands in which you can find other similar main ingredients. The surfactants are also called as wetting agents and penetrating agents. Companies use two types of wetting agents namely; anionic and ionic. Commonly anionic wetting agent is used like sodium lauryl sulfate, alkyl aryl sulfonates, Aeroso OT and others. Common ionic wetting agents are polyoxyethylene tertiary dodecyl thioether, polyoxyethylene esters of oil of tall, resin acid, coconut alkylolamide, esters of fatty acids and others. These agents are added in very small amount to the caustic drain cleaners for immediate and effective action. It acts as a catalyst or enhancer. Solid drain openers are found in pellet forms. As stated before, acidic drain openers cannot be made in solid form. The main ingredient of this type of drain openers is same as that of caustic drain openers. Sodium hydroxide or potassium hydroxide is added in granules form and aluminum turning is an important additive. Aluminum turning is a patented product in drain openers and is available only in certain brands. The chemicals used in the caustic and acidic drain openers have led to various cases of problems and accidents leading to severe damages. Thus, people are now shifting towards other forms of drain openers. There are people who worry about the effect of caustic and acidic drain openers on environment. Thus, this led to the invention of non-hazard and non-chemical drain opener. This is relatively a new form of drain opener in the market. This drain opener consists of enzymes that dissolve wastes. When the enzymes are mixed with water, the bacteria start to multiply. The enzymes contain bacterial cultures that react to organic residue. They feed on the waste for energy thereby unclogging it. The bacteria multiply twice its size within 30 minutes. Other ingredients in biological drain openers are wetting agents, preservatives and others. This type of drain opener is also called as enzyme biological drain openers. You can also make your own drain openers. A homemade drain opener will contain baking soda and vinegar. Mixing these two elements will create foaming reaction which would help in unclogging the drain. This is the most commonly found ingredient in all homemade drain openers. There are various other types of drain openers that use cream of tartar, salt, Borax and others. Not all homemade drain cleaning solutions are completely organic. This is not an exclusive list. There are numerous brands of drain cleaners which use unique forms of main ingredients as stated before. In general, an acidic drain opener will have an acid main ingredient; caustic one with have a base salt as main ingredient, bio drain opener uses bacteria and so on. The types, additives and other elements vary from one brand to another.